Wilson (hip) was officially placed on injured reserve Wednesday. Analysis: In a corresponding move, the Dolphins added Leonte Carroo from their practice squad to provide depth at wideout for Thursday's game against the Texans. Wilson will wrap up his first season in Miami with 26 catches (on 35 targets) for 391 yards and four scores in seven games. On a fortunate note, Wilson won't require surgery to address his hip injury, per Cameron Wolfe of ESPN.com. Wilson (hip) will not require surgery but will likely be placed on injured reserve, Adam Schefter of ESPN reports. Coach Adam Gase said there is a high probability Wilson (hip/leg) will be placed on injured reserve, Tom Pelissero of NFL.com reports. Analysis: Wilson is believed to have suffered an injury to the labrum of his hip during Sunday's 32-21 loss to Detroit. The Dolphins are bracing for news that it's a season-ending issue, but they haven't yet received confirmation. With Kenny Stills (groin) also out for Thursday's game in Houston, the team will need to turn back to DeVante Parker for a role in three-wide formations along with Danny Amendola (shoulder) and Jakeem Grant. Wilson sustained a hip injury in Sunday's 32-21 loss to the Lions that is expected to sideline him for "some time," Adam Schefter of ESPN reports. The receiver is scheduled to undergo tests Monday to determine the severity of the injury. Wilson's agent Drew Rosenhaus indicated the receiver has sustained a "significant" hip injury, Joe Schad of The Palm Beach Post reports. Analysis: Rosenhaus may be hinting at a multi-week absence, at minimum, for Wilson. We should know more about Wilson's situation after he undergoes further testing Monday. Wilson (hip/leg) has an MRI on tap, Barry Jackson of the Miami Herald reports. Analysis: With Kenny Stills (undisclosed) also banged up in Sunday's loss to the Lions, the Dolphins' wideout corps could be taxed as Thursday's game against the Texans approaches. Prior to his exit from Sunday's tilt, Wilson hauled in all three of his targets for 32 yards. Danny Amendola and Jakeem Grant currently profile as the team's top healthy wideouts, though it's possible that DeVante Parker (quad) could re-enter the mix in Week 8. Wilson (leg) is out for the remainder of Sunday's game versus the Lions. Analysis: Wilson exited the field in the first half clearly in pain. With his absence, the Dolphins will have just three healthy wideouts: Kenny Stills, Danny Amendola and Jakeem Grant. Wilson is questionable to return to Sunday's game against the Lions due to a leg injury, Adam H. Beasley of the Miami Herald reports. Analysis: Per Beasley, Wilson limped to the locker room early in the second quarter and was quickly tabbed with a leg issue. With DeVante Parker (quadriceps) ruled inactive Sunday, the Dolphins' receiving corps has been whittled down to Kenny Stills, Danny Amendola and Jakeem Grant. Wilson could enjoy an expanded role again versus the Lions in Week 7 with DeVante Parker (quadriceps) inactive for the contest. Analysis: Wilson displayed excellent rapport with Week 6 spot starter Brock Osweiler, bringing in six of nine targets for 155 yards and two touchdowns in the overtime win over the Bears. 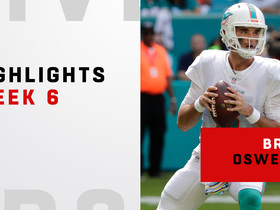 With Ryan Tannehill (shoulder) sidelined again Week 7, Osweiler will be under center for a second straight week against the Lions. Wilson has seen target counts of six, six and nine over the last three games, a stretch during which Parker was only active once and played just four snaps (Week 6). 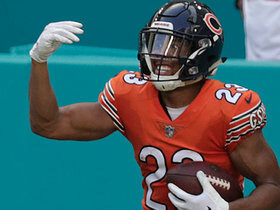 Wilson caught six of nine targets for 155 yards and two touchdowns while losing five yards on a carry in Sunday's 31-28 overtime win over Chicago. Wilson caught five of six targets for 43 yards in Sunday's 27-17 loss to Cincinnati. Analysis: Wilson finished second on the team in catches, targets and receiving yards behind running back Kenyan Drake. 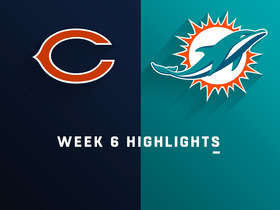 None of Miami's wide receivers have held much appeal with quarterback Ryan Tannehill mustering a combined 285 yards over the past two weeks, so Wilson shouldn't garner much Week 6 consideration against the Bears outside of deeper formats. 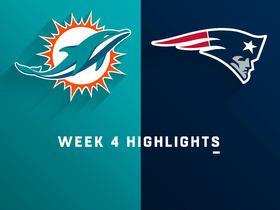 Wilson brought in four of six targets for 19 yards in the Dolphins' 38-7 loss to the Patriots on Sunday. 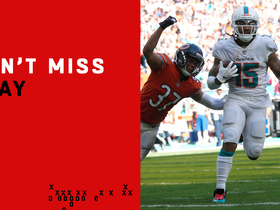 Analysis: The fact Wilson's modest reception total led all Dolphins pass catchers is a testament to what type of afternoon it was for the Miami offense. One week after posting a season-high 74 yards receiving on 37.0 yards per catch, Wilson averaged a lowly 4.8 yards per grab, with 13 of his 19 yards coming on one reception. The 26-year-old will look to put Sunday's forgettable performance behind him against the Bengals in Week 5. Wilson caught both his targets for 74 yards and a touchdown Sunday against the Raiders. He also completed a 52-yard touchdown pass in the 28-20 win. 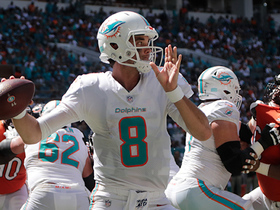 Wilson reeled in three of four targets for 37 yards and a touchdown in the Dolphins' 20-12 victory over the Jets. Analysis: Wilson also logged two carries for eight yards, mostly serving as a rotational wideout. Outside of his biggest play, a 29-yard touchdown catch, Wilson had a quiet day. 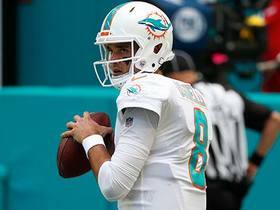 The 26-year-old's upside is limited as long as the Dolphins continue to run a low-volume passing offense, with quarterback Ryan Tannehill attempting only 23 passes Week 2. Wilson caught three of four targets for 31 yards in Sunday's season-opening, 27-20 win over the Titans. Analysis: Wilson also logged two rushing attempts for seven yards. 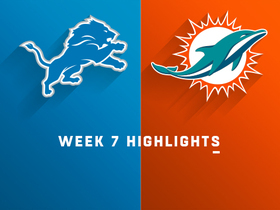 The four-year pro's underwhelming numbers can be partially attributed to an unimpressive showing by Miami's offense as a whole -- except for fellow wideout Kenny Stills, who logged two touchdowns and 106 yards. Ryan Tannehill showed a clear preference for Stills as a downfield target, but Wilson will have plenty of opportunity to build a rapport with his quarterback as long as DeVante Parker (finger) remains sidelined. Wilson is expected to start Sunday's game against the Titans with DeVante Parker (finger) likely inactive, the Sun-Sentinel reports. Analysis: Parker has been sidelined the past four weeks due to a broken finger on his right hand, spurring a doubtful designation for the regular-season opener. 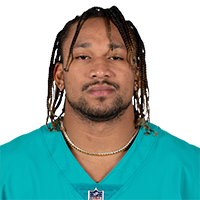 A newcomer to the Dolphins offense, Wilson, a four-year pro, has never surpassed 600 yards receiving or three touchdowns in a given season. However, the early opportunity in Miami could be beneficial for Wilson in Parker's absence. 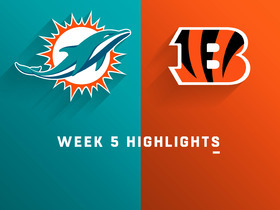 Wilson is expected to pick up increased snaps in the Dolphins' season opener against the Titans with DeVante Parker (finger) not on track to play in the contest, Armando Salguero of the Miami Herald reports. Wilson caught five of seven targets for 39 yards in Friday's preseason loss to the Panthers. With DeVante Parker dealing with a broken finger, Wilson has been working as the starting split end during the Dolphins' past two practices, the Sun-Sentinel reports. Analysis: Parker could be in jeopardy of missing the Dolphins' regular season opener, and in such a scenario, Wilson -- who was signed to three-year $24 million deal this offseason -- could be a factor in the team's offense out of the gate. Wilson has been lining up all over the field this summer, and his versatility will be an asset to the team, considering that Parker and slot man Danny Amendola are no strangers to the injury report. The Dolphins have been deploying Wilson at multiple spots on offense thus far during training camp, Barry Jackson of the Miami Herald reports. Wilson has primarily worked with the second-team offense in practice, Armando Salguero of The Miami Herald reports. Wilson's versatility has caught the eye of Miami's receivers coach Ben Johnson, Hal Habib of the Palm Beach Post reports. "It's really triggered us to say he's not limited in the slot, he's not limited outside," Johnson said of Wilson. "He can line up in the backfield. He can do so many different things for us." Wilson has lined up at three different receiver positions during the first couple days of OTAs, Joe Schad of The Palm Beach Post reports. Wilson signed a three-year, $24 million contract with Miami on Thursday. Analysis: The 25-year-old receiver will help fill the void created by the departure of Jarvis Landry, who was traded to Cleveland. Wilson is coming off of a 42-catch, three-touchdown season in which he totaled 554 yards for the Chiefs. The Dolphins also signed Danny Amendola in free agency and retain DeVante Parker and Kenny Stills, so Wilson could be a hit-or-miss fantasy option when all the team's top wideouts are healthy. Wilson is expected to sign a three-year, $24 million deal with the Dolphins when the league year begins Wednesday, Ian Rapoport of NFL Network reports. Chiefs GM Brett Veach said he would like to re-sign Wilson, who can become an unrestricted free agent when the new league year opens March 14, Terez A. Paylor of The Kansas City Star reports. Wilson (hamstring) is listed as active Saturday against the Titans, BJ Kissel of the Chiefs' official site reports. Analysis: Wilson's practice reps were monitored by the Chiefs this week, as he progressed from a DNP on Tuesday to full participation Thursday. A season-best 10 catches for 147 yards in Week 17 was made possible by absences from Tyreek Hill and Travis Kelce, so Wilson will be the fourth option, at best, in the passing attack, with versatile running back Kareem Hunt also expected to handle his workhorse role. Wilson (hamstring) is listed as questionable for Saturday's playoff game against the Titans. Wilson (hamstring) was held out of practice Tuesday, Terez A. Paylor of The Kansas City Star reports. Analysis: Wilson took advantage of a receiving corps sans Tyreek Hill and Travis Kelce in Week 17, hauling in 10 of 11 passes from Patrick Mahomes for 147 yards. During the eventual 27-24 win at Denver, Wilson picked up a sore hamstring in the latter stages, according to Matt McMullen of the Chiefs' official site. The injury may impact Wilson's practice reps all week, but Thursday's injury report will give an indication of his potential to play Saturday versus the Titans. Wilson caught 10 passes on 11 targets for 147 yards during Sunday's regular-season finale against the Broncos, totaling 42 grabs for 554 yards and three scores on the season. However, Sam McDowell of the Kansas City Star reports that he is expected to sit out practice Tuesday due to a minor hamstring injury. Wilson will serve as the Chiefs' No. 1 receiver against the Broncos with Tyreek Hill (coach's decision) officially inactive for the contest. Analysis: Wilson will be seeing targets from rookie Patrick Mahomes and not Alex Smith, who'll be in uniform but not expected to play. Nevertheless, with inconsistent and unproven options Demarcus Robinson, De'Anthony Thomas and Jehu Chesson as the other wideouts behind him, the four-year veteran could be a modest streaming option against a talented Broncos secondary that may nevertheless be somewhat short on motivation in the regular-season finale. 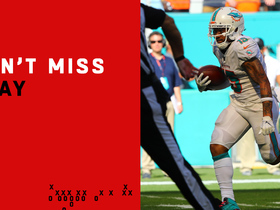 Wilson caught three passes for 36 yards in Week 16 against the Dolphins. Analysis: Wilson trailed Tyreek Hill by just one snap during Sunday's matchup and actually tied Travis Kelce for the most targets with eight. While that's an encouraging sign, he has yet to provide enough consistent production to be considered in the vast majority of leagues heading into Week 17 against the Broncos. Wilson caught just one pass on two targets for 15 yards in Saturday's 30-13 win over the Chargers. Analysis: Wilson remained heavily involved in the offense during Week 15, staying on the field for 94 percent of the offensive snaps. However, his consistent involvement doesn't generally result in production. Unless something drastically changes, more of the same is likely on tap in Week 16. Wilson caught five of seven targets for 72 yards in Sunday's 26-15 win over the Raiders. Analysis: Wilson finished third on the team in receiving yards, but was just three yards shy of Tyreek Hill's team-leading total. While the 25-year-old receiver was actually targeted one more time than Hill, tight end Travis Kelce's 13 targets equaled the total of the two wide receivers combined. As the third receiving option in a balanced offense, it's tough to count on Wilson for consistent production. Wilson (hamstring) caught three of his five targets for 27 yards Sunday against the Jets. Analysis: Wilson was limited during practice throughout the week due to a hamstring issue, but he ultimately dressed for Sunday's matchup and put together a decent showing. Assuming his hamstring holds up, Wilson should remain part of the mix down the stretch. Wilson (hamstring) is listed as active for Sunday's game against the Jets. Analysis: Wilson, who caught three of seven targets for 36 yards and a TD in the Chiefs' 16-10 loss to the Bills in Week 12, is out there if you need him Sunday, but he remains a fantasy dart, with fellow wideout Tyreek Hill and tight end Travis Kelce clearly the team's most reliable pass catchers. On the plus side, while high volume isn't always the norm for Wilson, he has scored in two of his last three outings. Wilson (hamstring) is listed as questionable for Sunday's game against the Jets after practicing in a limited fashion all week. Analysis: Wilson headed into Week 12's action with a questionable tag, yet he played through his hamstring issue and hauled in three of seven targets for 36 yards and a TD in the Chiefs' 16-10 loss to the Bills. The volume isn't always there for Wilson, but he has scored in two of his last three outings. Wilson remains a fantasy dart in Week 13, however, with fellow wideout Tyreek Hill and tight end Travis Kelce profiling as the team's most reliable pass-catchers. Wilson (hamstring) was a limited participant in Thursday's practice. Wilson (hamstring) caught three of seven targets for 36 yards and a touchdown in Sunday's 16-10 loss to the Bills. Analysis: Wilson made an immediate impact in his first action since Week 8, scoring his team's first touchdown since Week 9 when he took a third-quarter screen pass into the end zone from 19 yards out. Given the abhorrent current form of Kansas City's offense, it's tough to expect much moving forward from Wilson, considering he's only topped 40 yards twice this season. Wilson (hamstring) is active Sunday against the Bills, BJ Kissel of the Chiefs' official site reports. Wilson (hamstring) is listed as questionable for Sunday's game against the Bills despite practice fully both Thursday and Friday. Analysis: Even if Wilson is able to suit up Sunday, he's only an option in deeper formats, given that fellow wideout Tyreek Hill, tight end Travis Kelce and running back Kareem Hunt continue to profile as the Chiefs' top pass-catchers. Wilson (hamstring) practiced fully Thursday. Analysis: Wilson appears on track to be available Sunday against the Bills, after having missed the Chiefs' last two games. If he is able to suit up this weekend, Wilson's fantasy utility would be limited to deeper formats, with fellow wideout Tyreek Hill, tight end Travis Kelce and running back Kareem Hunt still representing the team's top pass catchers. Wilson (hamstring) was limited at Wednesday's practice. Analysis: Wilson, who last suited up on Oct. 30, has missed two straight games, but his return to practice Wednesday, albeit in a limited capacity, suggests that the wideout has a chance to return to action Sunday against the Bills. Either way, TE Travis Kelce and fellow WR Tyreek Hill will continue to profile as the team's top pass-catchers heading into Week 12. Wilson (hamstring) has been ruled out for Sunday's game against the Giants, BJ Kissel of the Chiefs' official site reports. Analysis: Even with the Chiefs returning from a bye, Wilson was unable to practice in any capacity this week, making it unsurprising that he'll be sidelined for a second straight contest. Wilson's absence presumably will allow Demarcus Robinson to handle elevated snaps for the fifth consecutive week, though Tyreek Hill is expected to rank as the top target among the Chiefs' wideouts Sunday. Wilson (hamstring) will remain sidelined at Thursday's practice, BJ Kissel of the Chiefs' official site reports. Analysis: If Wilson is ruled out for Sunday's game against the Giants, which is where this is trending, fellow wideout Demarcus Robinson would remain in line for added reps in Kansas City's offense in Week 11. Wilson (hamstring) wion't practice Wednesday, BJ Kissel of the Chiefs' official site reports. Analysis: It's not the greatest sign that Wilson has yet to resume practicing following the Chiefs' Week 10 bye. If Wilson remains out Sunday against the Giants, fellow wideout Demarcus Robinson, who was on the field for 98 percent of the team's offensive snaps in Week 9, would remain in line for added reps. The Chiefs ruled Wilson (hamstring) out for Sunday's game against the Cowboys, BJ Kissel of the Chiefs' official site reports. Analysis: Wilson was unable to practice this week after straining a hamstring during the Week 8 win over the Broncos. He'll be sidelined for the second time in four games as a result, depriving himself of another opportunity to stake a claim to a larger role in the Chiefs' passing attack with Chris Conley (Achilles) out for the season. With Wilson sidelined, look for Demarcus Robinson to rank as the No. 3 option in the Chiefs' passing attack behind top wideout Tyreek Hill and tight end Travis Kelce. Wilson (hamstring) won't practice Thursday, BJ Kissel of the Chiefs' official site reports. Analysis: The wideout's status for Sunday's game against the Cowboys is thus cloudy, though Wilson does have one more chance to return to the practice field Friday. If he is out or limited this weekend, Demarcus Robinson would be in line for added opportunities in the Chiefs' Week 9 offense. Wilson (hamstring) won't practice Wednesday, BJ Kissel of the Chiefs' official site reports. Analysis: Wilson still has some time to bounce back from the hamstring strain before Sunday's game against the Cowboys, but if he's unable to suit up this weekend, Demarcus Robinson would be in line for added snaps alongside Tyreek Hill.